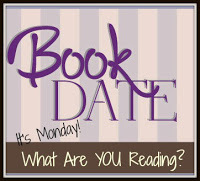 Book By Book: It's Monday 2/19! What Are You Reading? Fun Mardi Gras decorations! I want to read Killer Moon, but I think I need a break from true crime. Maybe next month. A Piece of the World is also on my list. Yeah, it's heavy stuff - hope you are enjoying a nice novel now! Sounds like a good week. My post this week. I'm starting Girl Unknown by Karen Perry, which is set it Ireland. So far so good. Sounds interesting, Helen - someone was just asking about books set in Ireland in a FB group I am in! Just added A Piece of the World to my wish list at Audible. Ah yes we have grey skies here too, waiting for the wind to arrive as promised but unwanted! How wonderful that you are going to listen to C B Kline speak. Awesome. I'm really enjoying it on audio, Kathryn - hope you do, too! I can't wait to hear the author speak - I look forward to these author events every spring! I love the decorations. I’m glad you had a good party. Have a great week! Thanks, AJ! It's a lot of work, but we do look forward to it each year. It seems like a lot of fun (despite the hangover effect!!!) enjoy the week. Oh my goodness. How have I never heard of Killers of the Flower Moon: the Osage Murders and the Birth of the FBI?! I'm adding it to my TBR list right now. Our grandfather was born in 1920 at Indian Nation in Oklahoma. When his daughter went to get Indian cards for her children, it's like they lost all birth certificate information for that time period. We were basically told they just had terrible record keeping for all natives born during that time. Anyway, this looks fascinating -- especially considering our family connection to this location. WOW! Thanks for sharing. Have a great week of reading! Thanks for sharing your family history, Shaye! Although his family doesn't have Native American roots, my husband is from Oklahoma, too, so I kept reading passages of the book out loud to him! I think this book will have special significance for you given your history. I've heard a lot of great things about Orphan Train - I am hoping I'd get to it soon, I think I own a copy of it waiting to be read on my shelves. Great to hear about your party - great decor! :) I am sure it was loads of fun. I think you'll really like it, Myra - fascinating history and a well-told, engrossing story, too.